Okay, so I know we haven’t even made it to Christmas yet but the New Year is coming up quick! Whether you’ll be heading out to party & dance the night away or grabbing a romantic dinner for two with your main squeeze, upping the shimmer and glam factor is a must for any New Year’s Eve celebration! I’ve been into deep reds and burgundies this season (and I just can’t pass up a cute skater dress style!) so this dress tops my lust list…. and the best part? It’s on sale for under $30! Add some gold, sparkly accessories (um, how gorgeous are those Rebecca Minkoff ear climbers?!?) 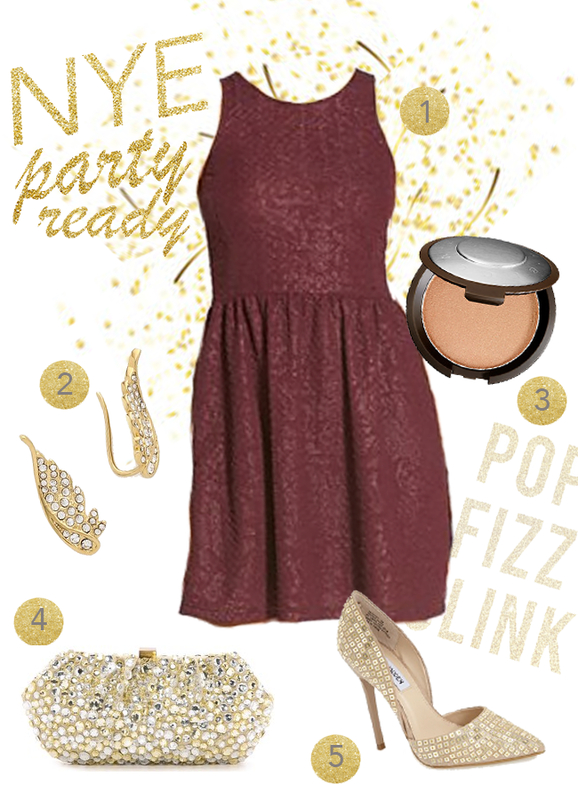 and a pop of shimmery highlight and you’ll be set to ring in the New Year in style. What are your plans for the holidays? Share!